(our old website became too outdated but the effort to transfer over was more than we had in us). In the background, you’ll see the very spot we were married. The foreground? Well, that should be obvious – our whole world. But unfortunately, because of the problems, the time, the.. life, we’ve missed a lot of milestones. Some we’ll go back and revisit (like birthdays). Some will be lost from this digital record, but believe us, were lived through quite happily and documented in our hearts. So then, to “launch” our new site, what better than with a milestone? 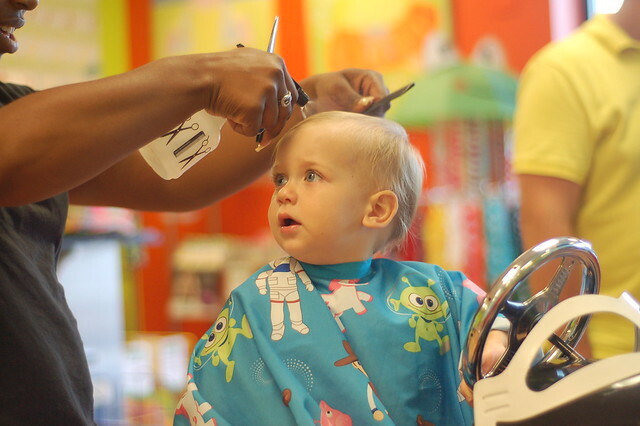 I don’t know why, but baby’s first haircut is hard for me. It is such a milestone of independence and growing up that I put it off. 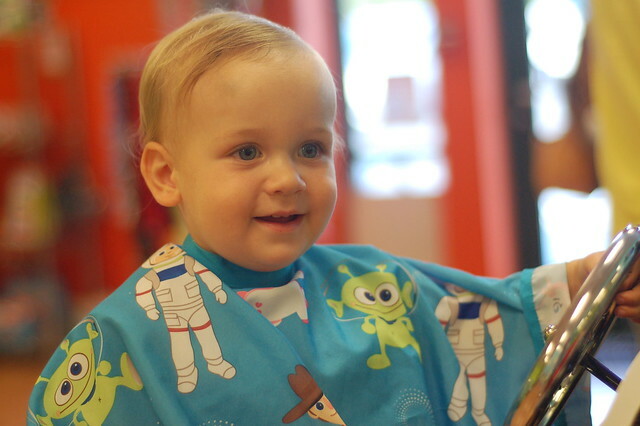 After we waited FAR too long for Caleb, and then realizing how sweet and handsome he looked with his new big boy haircut, I promised we wouldn’t do the same for Andy. And we did better this time, but still yet I found myself putting it off, because, you know, I grew that hair. Or something. BABIES. 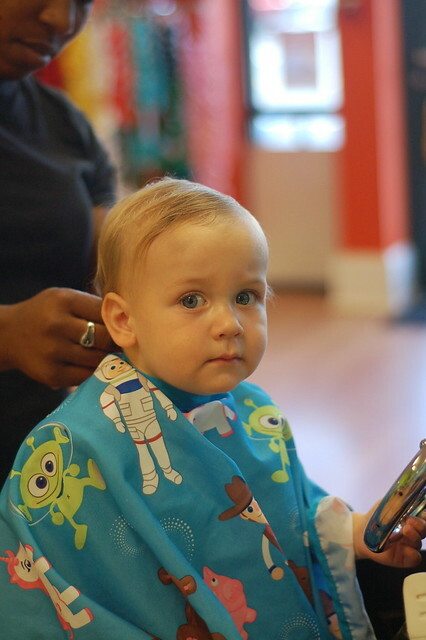 Caleb was fussy and ended up in my lap, so we had the wonderful chance to come into Andy’s first haircut with this thing called “ex per ie nce” and had Andy nap in the car right beforehand so that he was still groggy and pliable when we brought him in. It worked like a charm. Another thing to add to experience? With Caleb, they just threw his hair in an envelope and it disappeared into the ether before I could get it home. That beautiful blond baby hair was gone. So this time, I had a silver ducky box ready, with a silk thread, and also instructions to cut the hair into a rubber band. Overkill? Maybe. But no way were we losing this lock of hair. Particularly since the lock is an adorable curly-q at the nape of Andy’s neck. Justin called it a rat tail. I called it God’s curl. Potato-Potahtoh. 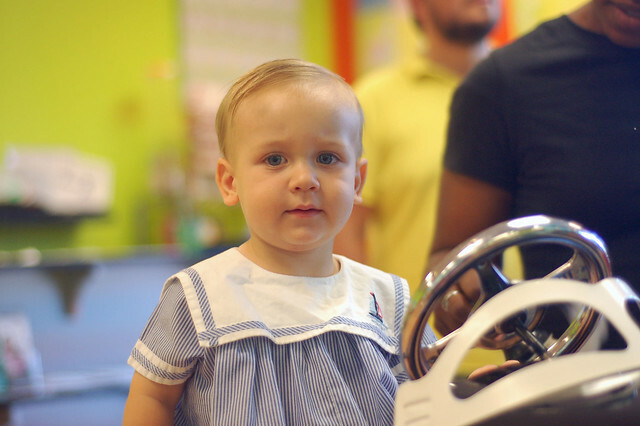 What we could agree on with our pin-straight hair is that it was likely the only curl he’d ever have. So cherished it was. Even if Andy WAS doubtful about the whole process and how “cherished” his hair was at the moment. Andy, like with most things, looked to his brother for guidance. Caleb’s utter disdain for the process helped avail Andy of any fear he may have had. 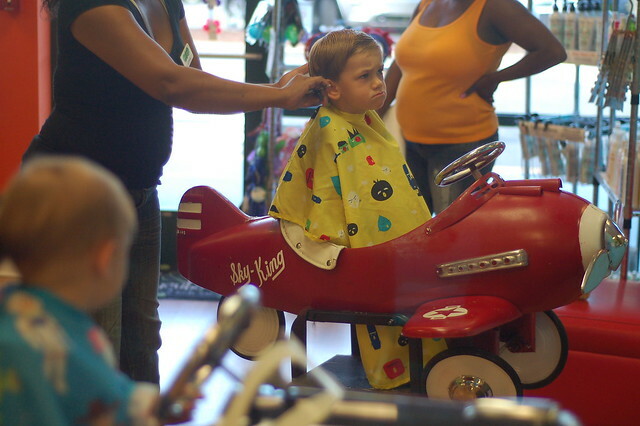 This is nothing to fear, Caleb’s face says, this is merely a horrid hygiene ritual mama makes us endure before we can continue to jump off dangerous heights and wreak havoc upon the community. Despite Caleb’s less than stellar example in the attitude department, Andy was an absolute gem, much to the hairdresser’s delight. And Andy’s hair is absolutely adorable, much to ours. 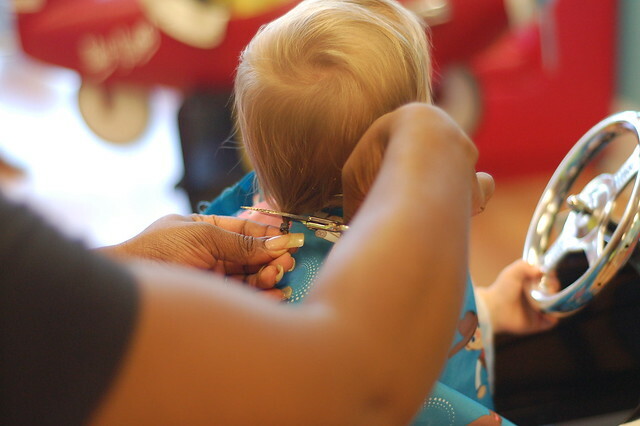 While he’ll never have that first grown-in baby hair again, there’s nothing sweeter than baby’s first haircut. And you better believe I’ve got that sweet curl locked up tight in one silver ducky keepsake box. 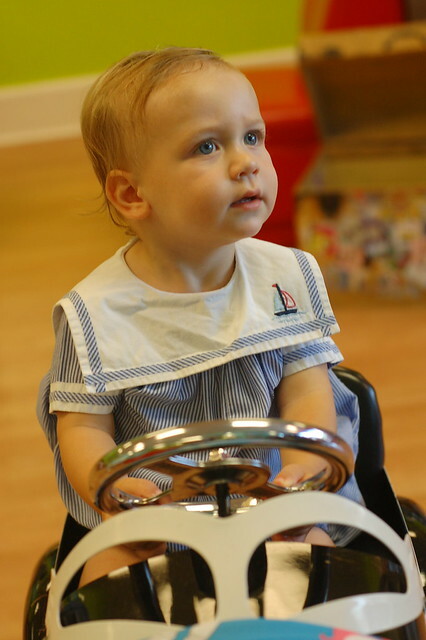 While second kids may get less of that “initial wonder,” they get a lot more of the practical experience. I’d like to think that there’s some evening out around here. The picture of Caleb made me LAUGH. Hard. Very Hard. Too cute. And I am with Justin– Rat Tail. Rather, mullet. Business in the front. Party in the back. Next Post: Happy Independance Day!